Below are tools found all over the net that are very useful. Most are free but some are premium services. Zero to One – Author, Peter Thiel begins his premise that we are living in an age of technological stagnation. Technology has indeed improved in a very fast pace but it does not solve all of our problems. According to him, progress is achievable in any area of business or industry. And one must have a very important skill to master: to learn to think for oneself. Grab a copy now. Hackers and Painters – On this day and age everything seems to be turning into computers. The typewriter, the telephone, the camera, the TV, and just about almost anything are being replaced by computers. This book by Paul Graham explains the computer age, the people behind these changes and what motivates them. Graham then pulls the reader to take a good look into the “Intellectual Wild West”. Click here to get the book. You may also want to check some of his essays on his blog or check Y Combinator for hacker news. The Art of the Start – Iolani graduate and early Apple employee, Guy Kawasaki likes to say that entrepreneur inot a job title but is a state of mind. This book helps your ideas work through an abundance of advice that are more of an art than science. Guy’s decades of experience is proof itself that the advise you get are top notch. Click here to get a copy. 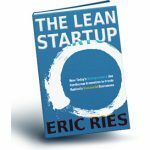 The Lean Startup – Founder of IMVU Incorporated and Harvard Business School lecturer, Eric Ries describes a startup as a group who’s dedication is to create something new under extremely uncertain conditions. This book’s approach encourages companies to be more capital efficient and influence human creativity effectively. Ries offers companies a scientific way to test their visions constinuously and adjust to make success a possibility in starting up by being more innovative. Click here to grab a copy now. So Good They Can’t Ignore You – Cal Newport exposes the belief that “follow your passion” is definitely a good advice in this eye-opening account. He says that the flawed-preexisting passions are uncommon and have little relevance with how most people come to love their work but it is also dangerous. So dangerous that it leads to anxiety and chronic job hopping. Get a copy to find out why. Shoe Dog – When he was fresh out of business school, Nike founder, Phil Knight, borrowed fifty dollars from his father and started a company with one simple mission: to import high-quality and low-cost Japanese running shoes. Knight grossed eight thousand dollars in his first year selling shoes from the trunk of his Plymouth Valiant. The company now sells $30 billion annualy which makes Nike the gold standard for this age of startups. Dig deeper into the early days of Nike by getting yourself a copy here. The Industries of the Future – Alec Ross shows us the kind of change that will come over the next ten years and highlights the best opportunities for progress and expains why countries thrive or stumble. This is a fundamental book in understanding how the world works and a must-read for business owners in every sector. Click here for a copy. The Everything Store: Jeff Bezos and the Age of Amazon – Bloomerg business writer, Brad Stone, tells an actual story behind one of the most successful companies in the world, Amazon.com. This book reveals the biography of the company and its brilliant founder, Jeff Bezzos, that forever changed the way we shop and read. Click here for a copy. Delivering Happiness: A Path to Profits, Passion, and Purpose – Author and CEO Tony Hsieh showcases a book that is full of great advice on emplyee retention and keeping your customers happy which is a worthwhile read for business leaders. It also encourages readers to developing happiness habits and integrate work to a happy life. Hsieh presents that your business will be more successful if you focus on the happiness of your empoyees, your customers, and others around you. Grab a copy now. Without Their Permission – Reddit co-founder, Alexis Ohanian, wrote this book with the idea of inspiring others to build and start things without waiting for permission to do so. He also shares his experiences with Reddit and Hipmunk, start-up lessons, and the internet’s current state and future. In fact, the internet is still in its infancy and the ones who can shape it are the innovators who push us forward. Find out more by clicking here.